Big stock and bond investors are beginning to hedge their bets: Institutional fund managers are selling off equities and bond holdings and increasing their cash reserves, according to a Bloomberg report – an indicator that should be of great interest to Self-Directed IRA owners. Global institutional fund managers increased their cash balances sharply in October, from 5.5 percent to 5.8 percent of their portfolios. That’s the highest they’ve been since the British Brexit vote, which generated so much uncertainty and drove investors to shelter in the dollar. More significantly, the average cash balance has not been this high since shortly after the 9/11 attacks. These institutional investors represent a lot of smart money – and they’re nervous about a further breakup of the European Union, a general bond market crash, a stock market correction, a banking crisis originating in China, with its massive debt overhang and shadow-banking economy, and, of course, a general slowdown in global demand. Self-Directed IRA owners can go anywhere. Large funds have to abide by their charters and prospectuses. If they marketed themselves as a bond fund, or stock fund, or anything else, and promised investors they cannot deviate more than a certain percentage from their charters, then they are stuck. But you, as a Self-Directed IRA owner, are much more flexible: You can select the most promising asset class, and focus investments wherever you like. You are not bound by some outside charter, and you have no obligation to go down with the ship when bonds or stocks crash. Self-Directed IRA owners have the advantage of being small. This means you can take meaningful portfolio positions in a much bigger array of investments – many of which will be more attractive specifically because they are small. For instance, small borrowers, who are generally underserved by banks and traditional lenders, will often pay above market interest rates on borrowed money to attract investment capital. These private debt placements, private equity placements, hard money lending opportunities and small real estate opportunities usually fly under the radar of large institutions, but can be terrific investments for the individual investor. When the individual investor is limited to conventional assets, like stocks and bonds, his or her chances of outperforming the major institutions and professional money is very small. But the Self-Directed IRA gives the individual investor the chance to add some real value for himself – alpha ­in investment parlance – thanks to the ability to channel money where size and charter restrictions make it very difficult for the large institutions to go. Many of these are not highly correlated with the stock and bond markets. When the institutions get nervous about stocks and bonds, chances are you will want to gain some exposure to these alternative asset classes to potentially increase expected returns and/or reduce risk. 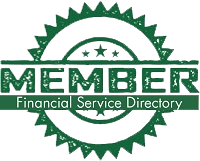 To get started, visit our website at www.americanira.com, or call us from anywhere in the country at 866-7500-IRA(472). Are You Ready for a Self-Directed IRA?